Great was given several different options for my pain and explained how these options would work in detail. A great visit! Staff was very friendly & helpful. Everyone was very approachable & easy to talk to about anything. Thankyou for the wonderful experience. A great visit! Staff was very friendly & helpful. Everyone was very approachable & easy to talk to about anything. Thank you for the wonderful experience. 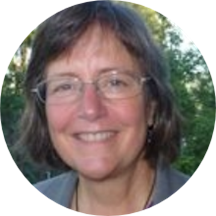 Ms. Bonnie Sprague is an experienced nurse practitioner serving the community of Bellingham, WA. She earned her bachelor’s degree from Seattle Pacific University. Patients trust her expertise because she consistently provides high-quality care that leads to positive and lasting health outcomes. Ms. Sprague is available for exams and consultations at Bellingham Health & Functional Medicine. In addition to caring for a range of illnesses, she carries out women’s health exams, men’s health exams, contraception care, and IUD insertions. She is a dedicated provider who carefully listens to her patients and provides sound advice that would benefit them. Ms. Sprague is devoted to ensuring the longevity of her patients’ health and developing long-lasting relationships with them. She takes her time to understand symptoms and give correct diagnoses to ensure the continued health of all her patients. Very friendly staff! Quick easy and professional visit. Thank you! Efficient, kind & ready to listen :). The visit went great. Minimal waiting, was able to discuss all concerns.